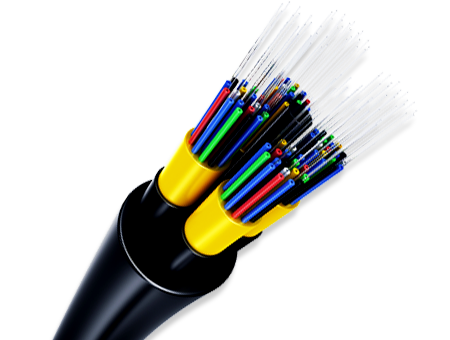 In today’s world of fast-paced communications, fiber-optic devices on telecom and enterprise networks have to be in top-notch functional order at all times. This can be a punishing regimen unless of course, designers and manufacturers of these devices make it a point to design, build and monitor their products with optical or laser plug-in modules. These modules allow you to effectively detect and address bottlenecks before these burgeon into catastrophic proportions and invoke a total system collapse. If you want to achieve the above benefits without spending a fortune, consider installing the refurbished optical or laser plug-in modules from Agilent. 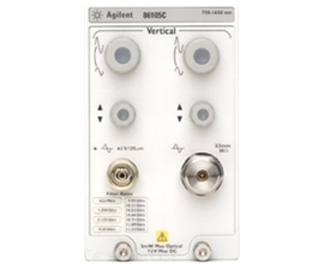 In particular, consider these models—Agilent 81680A, 86105C, and 81635A. Please note a mainframe oscilloscope is required to use any of these modules, the Agilent 8164A or the 86100 series. The Agilent 81680A is a laser plug-in module that operates in the wavelength range of 1460 nm and 1580 nm. With a maximum power output of 6 dBm and an impressive wavelength accuracy of +/-0.01 nm, this module packs in a powerful performance. 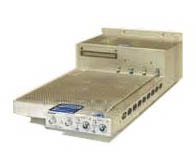 The 81680A from Agilent packs in two optical outputs. The first output port is capable of delivering an ultra-low source spontaneous emission signal that is incredibly effective in accurately measuring various components of a dense-WDM system with multiple tightly packed channels. The second output port on the 81680A provides increased loads of optical power while the in-built attenuator allows the device to adjust by more than 60 dB. The superiority of the model stems from the fact that the output ports are stellar-grade Panda PMF products that strictly define polarization and let you measure waveguide devices consistently and accurately. The 86105C is best in class and lets you accurately test transmitter compliance and carry out waveform characterization analyses on diverse forms of technologies, like datacom and enterprise, and for different data rates with a single device. The 86105C has a bandwidth of 9 GHz for optical devices and 20 GHz for electrical devices and operates across a wavelength range of 750 to 1650 nm. It has a typical sensitivity of -21 to -16 dBm. However, the greatest feature of the Agilent 86105C plug-in module is its unprecedented filter rate coverage that also future-proofs it. The expansive filter coverage and extreme sensitivity of this module makes it an ideal testing device for a wide range of Ethernet, SONET, and Fiber Channel technologies and across a wide spectrum. The Agilent 86105C can be an indispensable tool in any manufacturing and R&D environment. 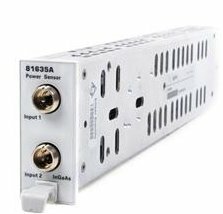 The Agilent 81635A is a dual optical power sensor that can simultaneously measure devices with multiple channels. It has an impressive power range of +10 to -80 dBm and thus enables you to implement a diverse array of measurement applications such as logging data and recording maximum and minimum values over a specific period of time. It enables you to perform powerful spectral measurement exercises with improved polarization dependence and higher resolution across multiple channels. This allows you to achieve immense time- and cost-efficiency. The above-mentioned Agilent models of laser or optical plug-in modules are essential tools to monitor the functionality of complex and sophisticated fiber-optic devices. These refurbished models are an excellent value. This entry was posted in Fiber Optics. Bookmark the permalink.